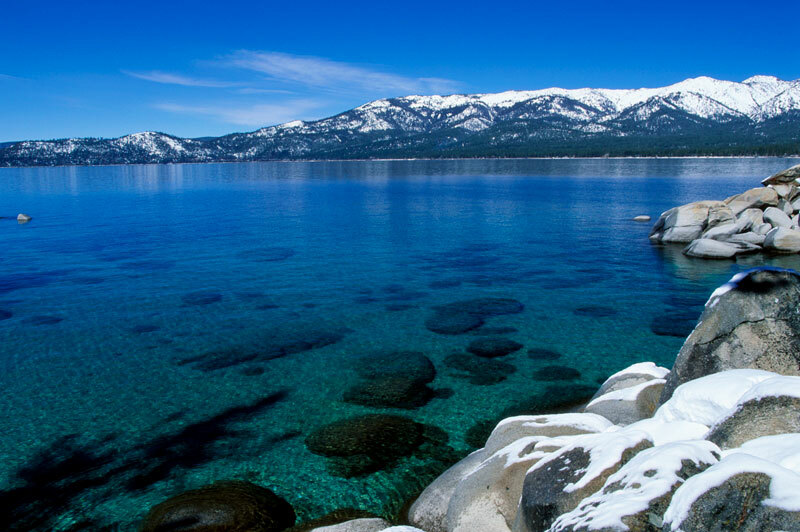 Lake Tahoe: I still remember the first time I got a glance of this beautiful lake. After driving for a while in the mountains, a blue water body appeared all of a sudden. I haven’t had seen anything like this before. There are many beaches and scenic spots but Sand harbor is the prettiest. Other favorites are Emerald and Rubicon Bay. The lake water has different shades of emerald green and blue. The beautiful snow capped mountains serve as a backdrop and the giant boulders further enhance the beauty of this lake. Napa valley: Though California has wineries all over but Napa is still Napa. I love the Wine train experience. If you’re into wining and dining..J you got to try this once. Not only the food is great, but fine, restored coaches also give a glimpse of the glory days of US railroad. The train offers beautiful views of the vineyards on both sides. Some coaches of the train also have wider view (Vista Dome), the experience even gets better on Full Moon days. Carmel: I don’t know whether it was a chance or business as usual but I saw the most number of Ferraris (in a single day) here. There wasn’t any event or exhibition unless the nearby Pebble Beach Golf course had one. Carmel has a very classy downtown, perfect to eat out and stroll around. 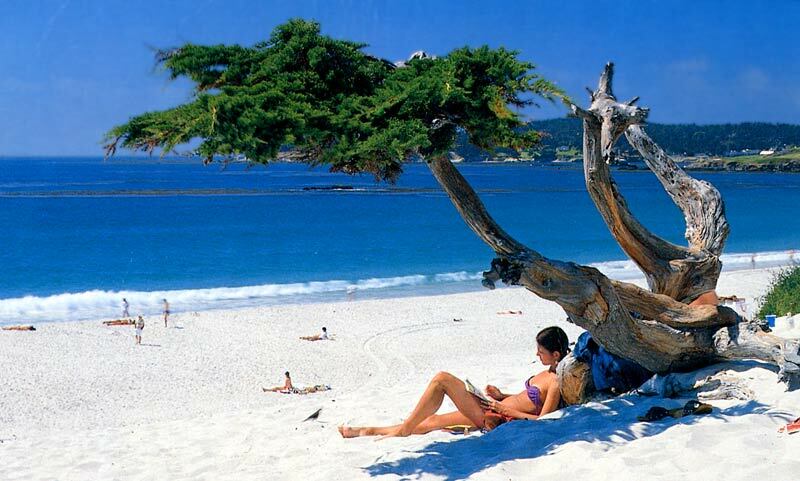 The white sandy beach is even prettier with nice shrubbery around, whole surrounding is quiet relaxing, not overcrowded. Santa Cruz and Mystery Spot: You might want to stop at Santa Cruz while cruising the Pacific Coast Highway. There are many rides (including a roller coaster) on the beach itself. It is perfect for the families with small kids, but can get overcrowded. It is entirely up to you whether you visit Santa Cruz or not but you have to see the Mystery Spot (same area). It will be quiet an experience!! First of all, there is something mysterious about the surroundings. This place looks quiet different from the rest of Santa Cruz area. May be some Vortex or energy centers stuff here, somehow it defeats The Law of Gravity. It is really shocking when you see a ball rolling upward (instead of downward) on a tilted board. 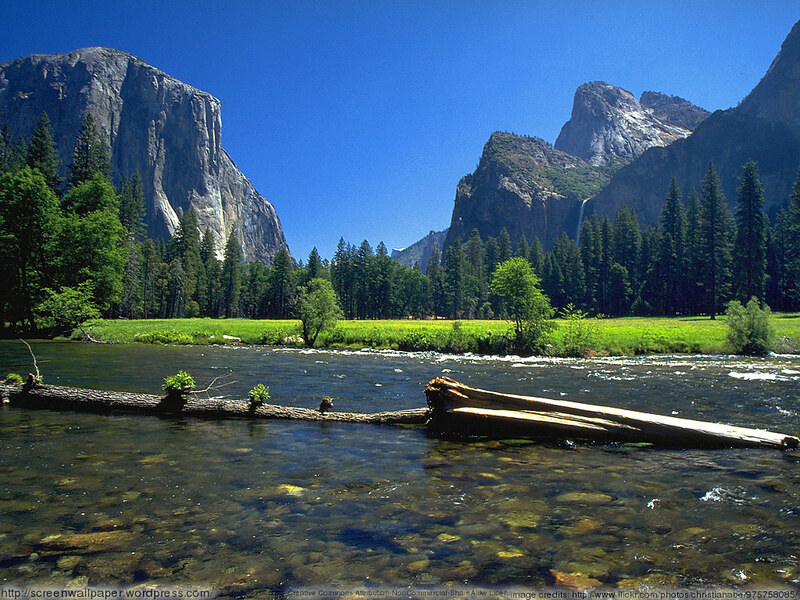 Yosemite National Park: No wonder, this was one of the most favorite places of Ansel Adams, the renowned photographer. There are quiet a few trails with amazing views of the rocks, waterfalls and streams. Don’t forget to visit Mariposa Grove for the Giant Sequoias. Half moon bay and Pacifica: There are many small beachside communities along the Pacific coast. The half moon bay and Pacifica are only about 30 minutes drive from the city. It is nice to drive by if it is a Sunny day. Both the cities have boardwalks and bike paths along the shore. I find Half moon quieter as I see locals most of the times unless it is a weekend. 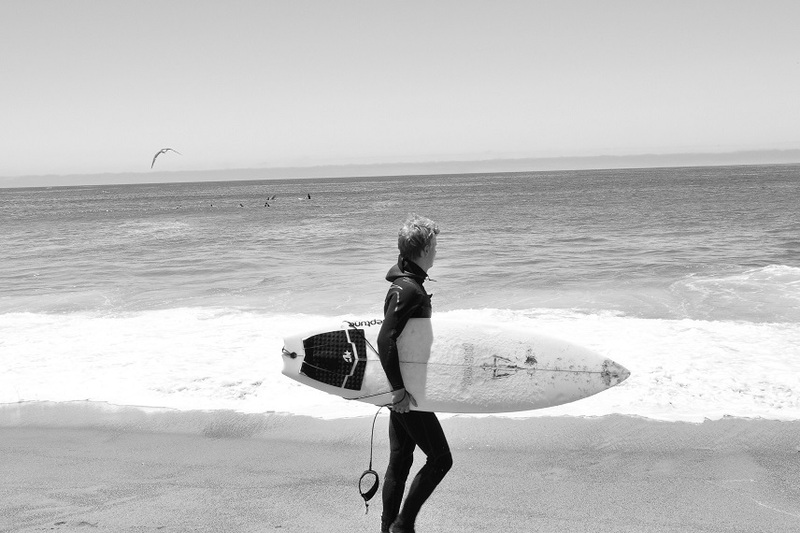 If you like Surfing, then spending some time on the Pacifica beach makes sense. It is a popular hangout for the local Pacific breeze. I think I have covered most of the key spots in Northern Cali, let me know if I missed any of your favorites. This entry was posted in Explore The World and tagged Beaches, California, Experiences, outdoors, Travel, White Sand on October 23, 2011 by admin.